Gently wash sago and drain well.Cook sago with plenty of water ( about 5 to 6 cups) until it turns translucent.Drain well and add cold water to avoid sticking. Drain the sago pearls and keep aside.Finely chop the pineapple pieces. In a pan,combine together chopped pineapple and 1 tbsp sugar.Cook for few minutes or until it turns almost dry.Allow this to cool completely.Keep aside. In a heavy bottomed pan,combine together milk and condensed milk.Bring it to just under a boil. 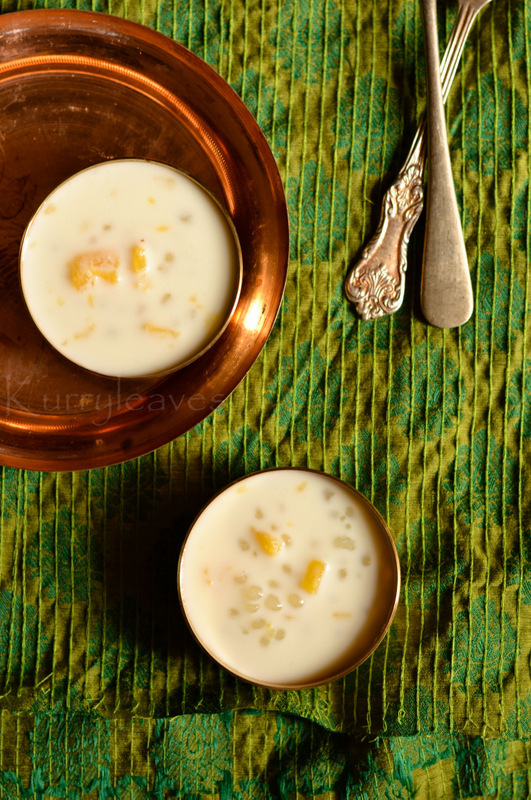 Now add cooked sago pearls and sugar to taste.Mix well and cook for few minutes ,stirring continuously until it turns slightly thick.Allow it to cool completely. Once it has cooled ,add the cooked pineapple and mix well.Serve chilled. Do not add pineapple to hot milk,if you do so it may curdle. 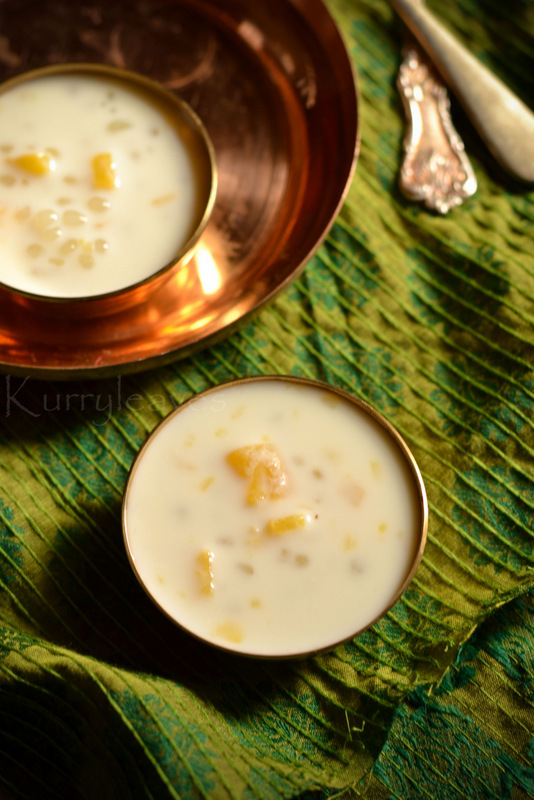 Lovely payasam.. looks too good and delicious! !